Staff was nice and friendly. Rooms were warm. And the location was OK. It was delicious breakfast. Can have little more bakery things, but in otherwise it was nice stay. Most important is that the staff was helpig me with everything...printing, lugguage e mails :) It had warm ambience. Good parking, good access and breakfast. Ski-pass voucher a nice addition. Όλα ηταν τέλεια. Καθαρά, Καλό προσωπικό. Καλό φαγητό. Bed was good. Clean. Tv and WiFi were good. Bathroom needs improvement. Staff was sweet and kind. They let me change my reservation with no problem. Personel nazik ve yardımsever. Konum kayak merkezine yakın. 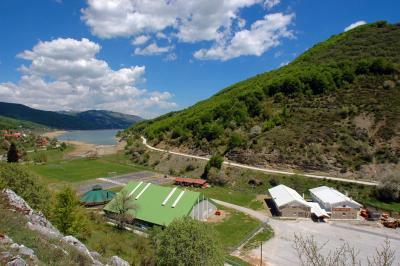 Set at the foot of Mount Bistra at Mavrovo Lake in the Mavrovo National Park, this hotel provides free Wi-Fi and free parking on site. Mountain bike rental and ski storage is available. Guests of the Sport Hotel can start their day with a breakfast every morning. The restaurant and bar serve local and international cuisine. 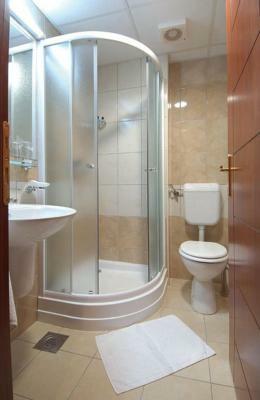 All rooms come with satellite TV, work desk and a bathroom with shower or bathtub and a hairdryer. 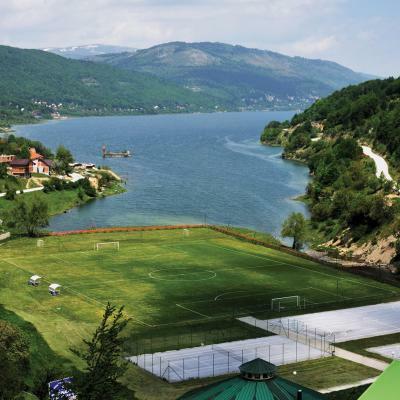 Hotel Sport is 24 km away from the St. Jovan Bigorski Monastery and 100 km from the airports of Skopje and Ohrid. Obiekt Hotel Sport obsługuje Gości Booking.com od 24 PAŹ 2011. Kiedy chcesz się zatrzymać w obiekcie Hotel Sport? Zasady pobytu Obiekt Hotel Sport przyjmuje życzenia specjalne – możesz je dodać w kolejnym kroku rezerwacji! Obiekt Hotel Sport akceptuje wymienione karty. Obiekt ma też prawo tymczasowo zablokować należną kwotę na karcie Gościa przed jego przyjazdem.